Sculpted out of the Colorado Plateau, Zion National Park is a dragon’s lair of rock towers, caves and hanging gardens. The narrow slot-canyon gradually widens to where the Virgin River escapes into the Utah desert near St. George. Looming above an emerald forest of twisted trees, orange sheer-cliffs create an intimidating profile set against the summer sky. Overhead, the morning fog has burned away and wispy clouds are arranged in a pattern of complicated design. The place is a hiker’s paradise so if the astonishing beauty doesn’t take your breath away, then climbing up to the rim certainly will. 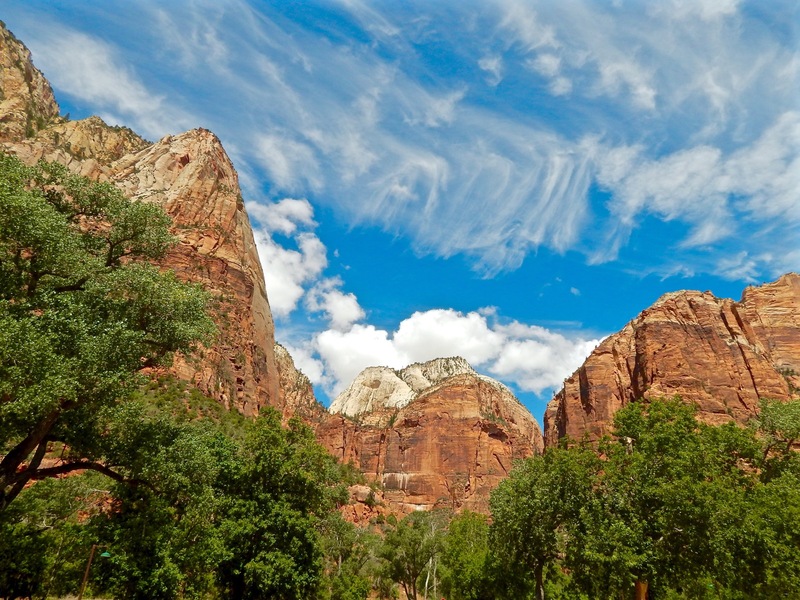 Though Zion is difficult to describe with words, luckily, the unique landscape is photogenic from every angle. Famous for its turquoise lakes and sparkling waterfalls, Yankee Boy Basin is an alpine garden bursting with brilliant wildflowers. Up out of Ouray, Colorado, the spectacular valley is settled in the shadow of an ancient volcano. The green passageway is enclosed by a castle of sculpted peaks with peculiar names like Teakettle, Cirque, Kismet, Gilpin, Stony and Potosi. 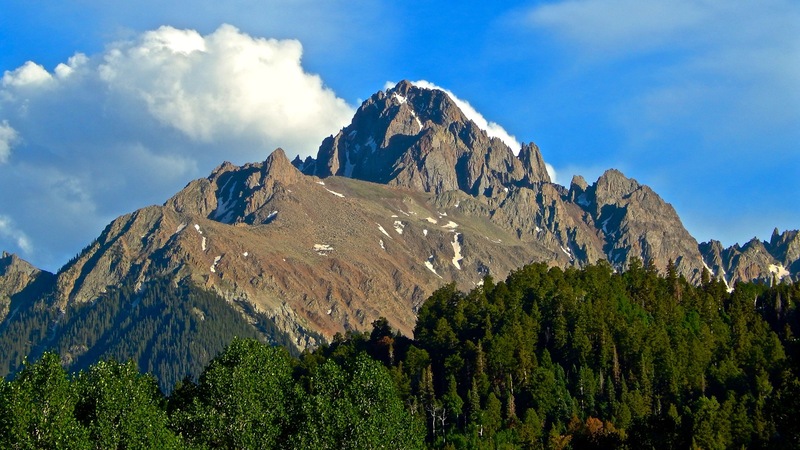 The undisputed ruler of this extraordinary kingdom is a rigid monarch called Mount Sneffels. In this mountain paradise, an exuberant creek is a ribbon of white water that cascades through fields of blue columbine. Unfortunately, an afternoon thunderstorm awakens the dreamy traveler and forces a retreat back to the land of reality. Xenia was established in 1883 as a construction campsite on the Burlington and Missouri River Railroad about seven miles west of Akron, Colorado. 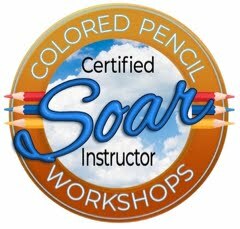 It never had a post office or a school. You can use GPS to find the location but when you get here, everything’s gone. 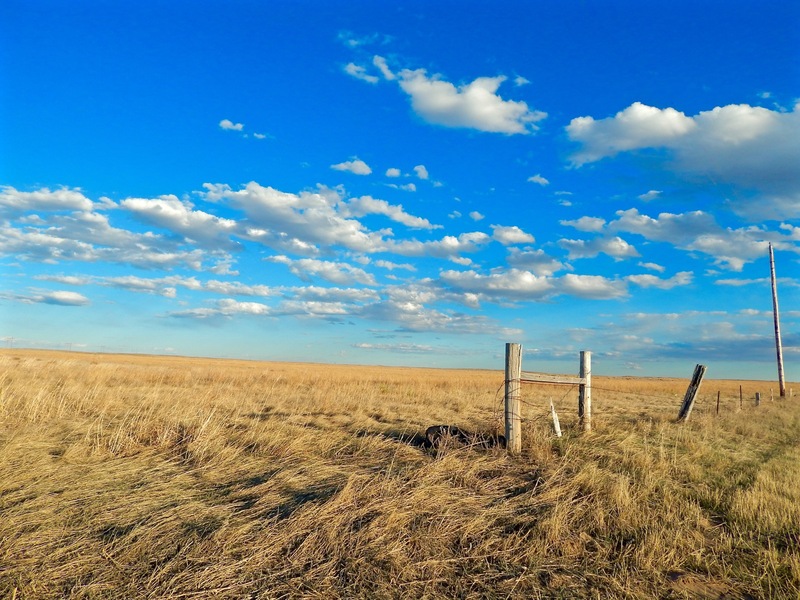 All I found was a broken-down fence and its futile attempt to contain a vast expanse of idyllic prairie. 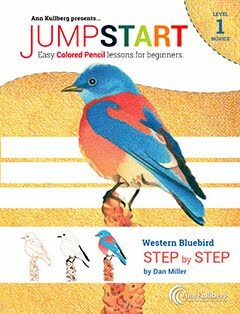 Lit by a low sun, spring clouds drift overhead as a western meadowlark sings his heartfelt song. I can only imagine what it was like 100 years ago but if I were passing through back then, I believe I’d like to stay for a while. 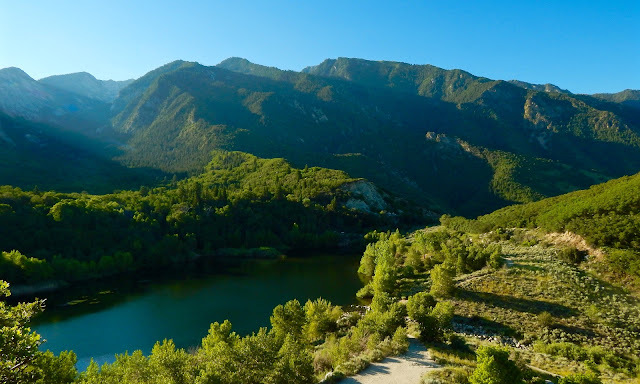 The Wasatch Mountains are a verdant range of massive peaks that loom above Sandy, Utah. Rising out of the nearby desert, they form an impressive barrier insulating the secluded corridor from the rest of the world. The serene hillsides are laced with steep switchbacks that reward the tired traveler with shimmering, blue lakes. Tumbling down from above tree line, raging torrents form hidden waterfalls that are difficult to discover. Mornings are warm and peaceful with only the sound of birds singing in the brush. Up here, darkness doesn’t go down without a fight so seeing those first rays of light in the Wasatch are always an ethereal experience. 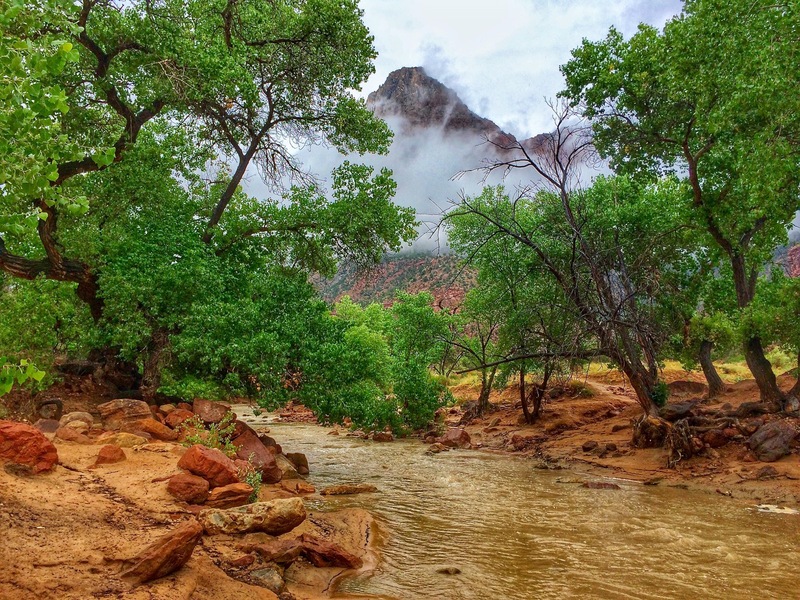 The Virgin is an enigmatic river that sweeps through southwest Utah shaping the deep chasm at Zion National Park. Contradicting the vibrant colors of the canyon landscape, the shallow stream is a muddy brown. Cut through an arid desert, the cold river is a life-giving force offering fresh water to a diverse selection of plants and animals. The forest of arched cottonwoods is a peaceful oasis that also provides plenty of shade. The compressed end of Zion must be approached with caution as flash floods are a serious hazard. Despite drenching the hiker with peril, this awesome waterway rewards the risk with spectacular scenery at every bend. Blessed with untamed rivers, deep canyons and green mountains, the state of Utah is celebrated for its diverse scenery. 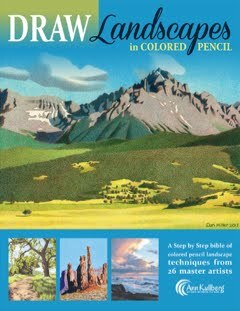 Established on a painted desert, the topography transitions dramatically up to the lofty Wasatch Mountain Range. The winding waterways rush towards the southwest while carving surreal chasms out of an uplifted plateau. Heavily eroded by wind and water, the unique landscape is littered with an interesting array of arches, pinnacles and hoodoos. I enjoy wandering around our local foothills and I could spend a lifetime exploring the vast Rocky Mountains. I must admit, though, that the territory to our west has definitely cast a spell. Our home is Colorado but my second favorite state is magical Utah. 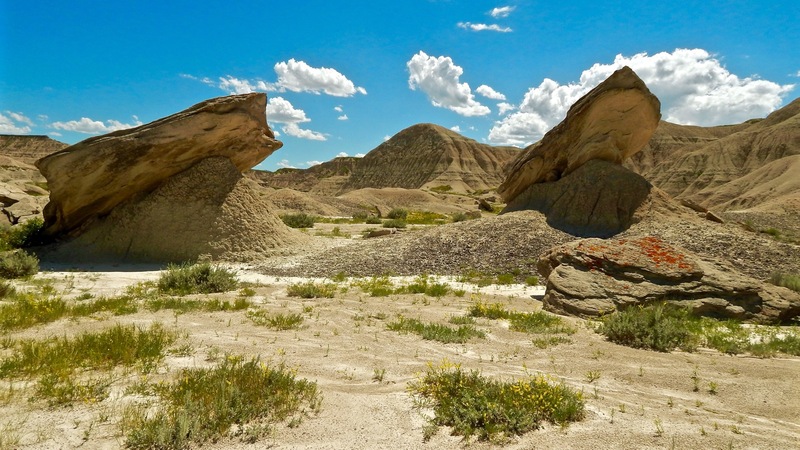 Nebraska is known for its flat countryside and endless fields of corn but if you’re willing to veer off the main road and head to the northwest corner, you’ll discover the rugged badlands. It’s a place that time forgot and hiking here is treacherous, tiring and hotter than hell. Just like the red planet, Toadstool Geologic Park is a harsh, sun-baked environment gouged by a desolate chasm. Down at the bottom of the gorge, you’re tempted by a devil's playground of balancing rocks, sandstone spires and a maze of sidetracks. This portal to the center of the earth is an arid landscape that’s awash with spectacular scenery. God may have forsaken this grim abyss long ago but after my remarkable experience here, I’ve come to cherish happy memories of exploring this damned canyon. 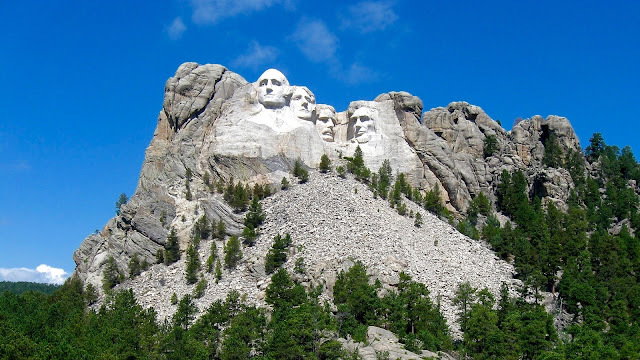 Exhibited near Rapid City, South Dakota, Mount Rushmore is a magnificent monument sculpted from a granite mountain. The massive memorial is a group portrait featuring presidents George Washington, Thomas Jefferson, Abraham Lincoln and Theodore Roosevelt. It took artist Gutzon Borglum 14 years to complete the government commission. Concealed in a sacred wilderness of rock and pine called the Black Hills, the work looks unfinished but rough hewn edges give it a certain sketchiness that blends into the natural environment. Upon entering the busy complex, a grand boulevard leads to an amphitheater where the sculpture can be closely contemplated. Rushmore definitely exudes patriotism and as an attraction luring tourists to the remote High Plains, the astonishing work of art is certainly a success. East out of Ridgeway, Colorado, the quiet countryside is a subtle landscape of lower hay fields that give way to a riot of colorful wildflowers and quaking aspen. Rising above tree line is a sweep of rugged terrain composed of sharp pinnacles and serrated ridges. A scenic sub-range of the San Juan Mountains, this confusion of untidy crags is an everlasting remnant of an ancient volcano. Positioned majestically amongst these picturesque peaks is Mount Sneffels, also known as the "Queen of the San Juans". I've photographed Mount Sneffels from every direction, during different seasons and in all kinds of weather so attaining the summit was an awesome experience. This region is one of the most beautiful destinations in the west and probably my favorite place on earth. 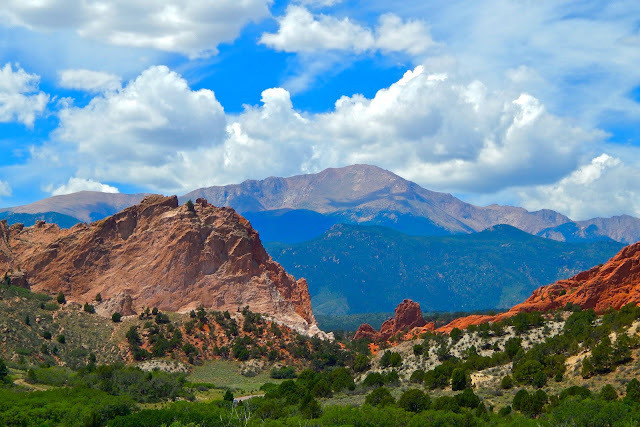 Dominating the view at Colorado Springs, Pikes Peak has been inspiring explorers, gold seekers and artists for over 200 years. It’s named after the accomplished adventurer Zebulon Pike who first beheld the majestic, purple mountain in 1806. When gold rushing 59ers set out for Denver in a quest for mineral riches, they emblazoned their wagons in fresh paint with the famous words "Pikes Peak or Bust!" The rocky monolith still commands the southern skyline and has become a lasting symbol for the entire Front Range. American songwriter Katharine Lee Bates was so influenced by the extraordinary vista from the summit that she wrote the lyrics to America the Beautiful. 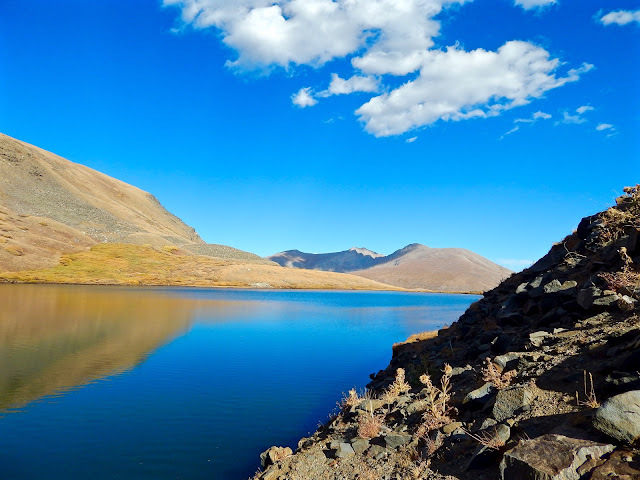 The popular anthem is actually a superb tribute to the unique beauty and vastness of the Colorado landscape. 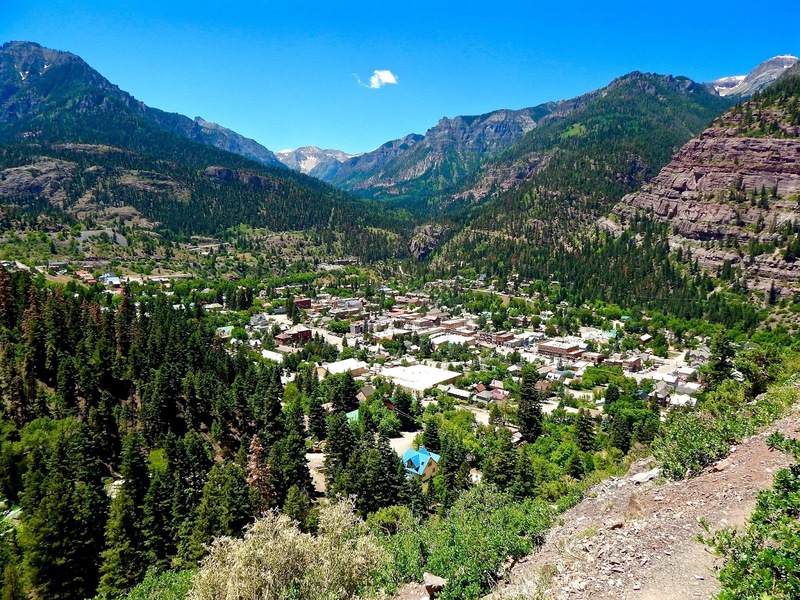 Ouray is a small, mountain town wedged into a steep canyon below the San Juan Mountains. The magnificent setting is reminiscent of the European Alps so the high altitude community is often referred to as the “Switzerland of America”. The vacation resort is famous for it’s Box Canyon Falls which offers superb ice climbing during the winter and a relaxing hot springs that’s open all year round. 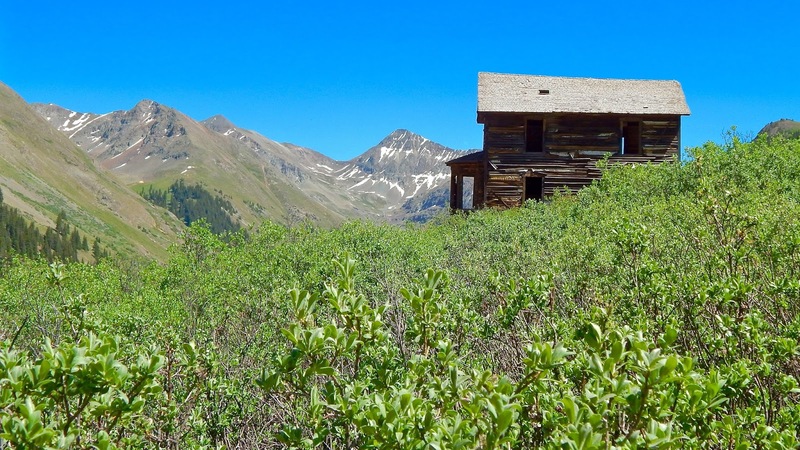 It’s also the gateway to Yankee Boy Basin, a beautiful valley chock full of mining history and summer wildflowers. Connecting Ouray to the lofty city of Silverton, the Milion Dollar Highway is considered one of the most dangerous roads in America, but if you can handle the sharp turns, steep ledges and lack of guard rails, I believe its the most scenic passageway in Colorado. On a warm, summer evening in western Nebraska, Northport is a wonderful relic set in an infinite prairie of yellow grass. 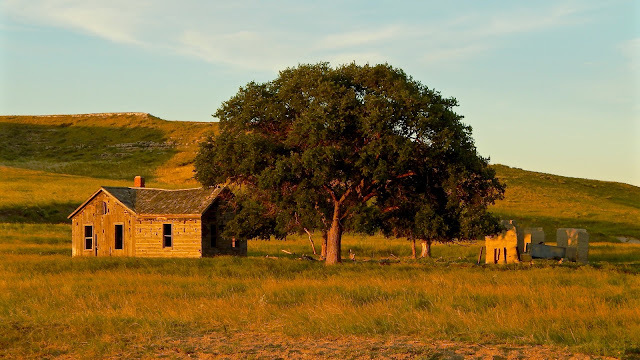 Still standing in a secluded pasture, the abandoned little-house seems like an idyllic place. As the setting sun drenches the landscape with golden light, a rickety windmill still works but the rest of the neglected grounds is in ruins. A rare spectacle in the vast sandhills, the big tree looks to be in vigorous shape. Erected by spirited pioneers so many years ago, the ramshackle homestead is a cordial reminder of glorious days gone by. As another one comes to an end, so perfect is this peaceable kingdom that it must be a dream. 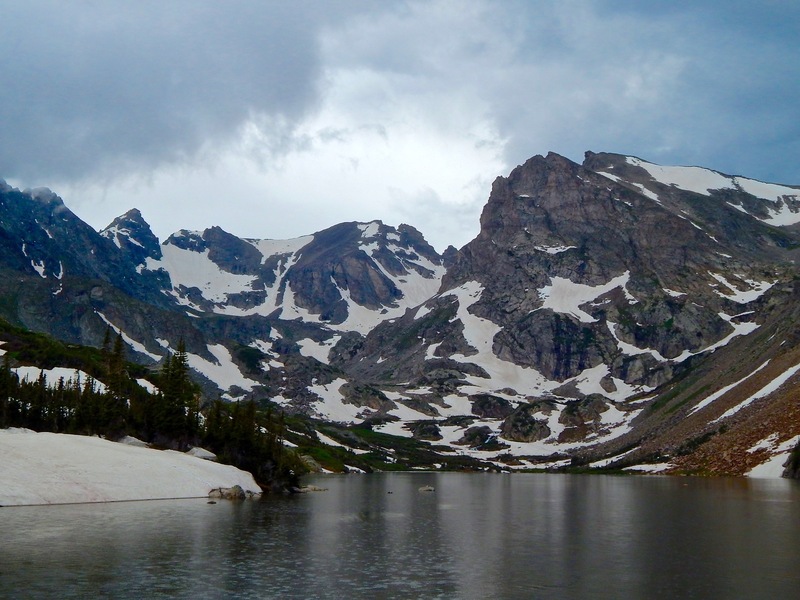 Dwarfed below Longs Peak, Mills Lake may be the prettiest place in Rocky Mountain National Park. Black like an inkwell, the reservoir is exhibited at the bottom of a breathtaking gorge that has been painted by an artistic creek. The beautiful landscape is littered with a muddle of giant boulders and dead snags that have sunk to the shallow bottom. The fearsome array of jagged, blue peaks is reflected faithfully by the water’s crystal clear surface. Enos Mills was a distinguished author, photographer and nature guide who tenaciously promoted Colorado's pristine wilderness. Inspired by the peaceful setting, I’ve discovered that his lake is the ideal place to ponder nature’s great mysteries. 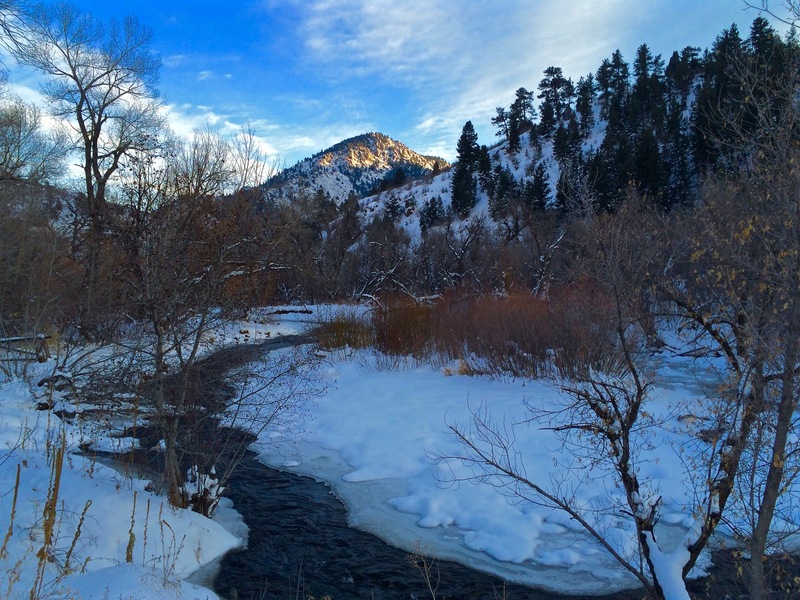 Straddling Bear Creek, Kittredge is a small village tucked into the foothills between Morrison and Evergreen. Terraced into the mountainside, the picturesque community resembles something you’d see on a Christmas card. Integrated into the town’s edge, Lair O’ the Bear Park is an alluring canyon gouged by a winding, black waterway. Bordered by a forest of gnarled cottonwoods, the riparian landscape reveals color during all seasons. Blessed with beautiful scenery, abundant wildlife and a rural demeanor, the humble township is more than appealing. If you’re ever looking for someplace new to live, Kittredge would be the perfect place to put down roots. 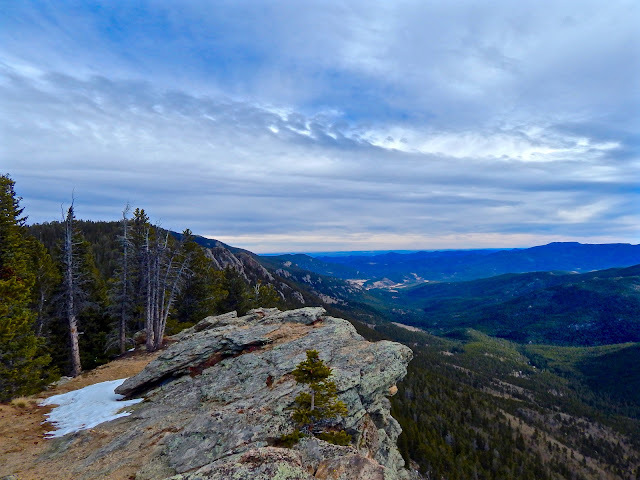 Halfway up Squaw Pass Road, Juniper Pass is a rugged link connecting the towns of Evergreen and Idaho Springs. The harrowing highway has steep drop-offs on both sides as the expansive Mount Evans Wilderness is stretched out as far as the eye can see. 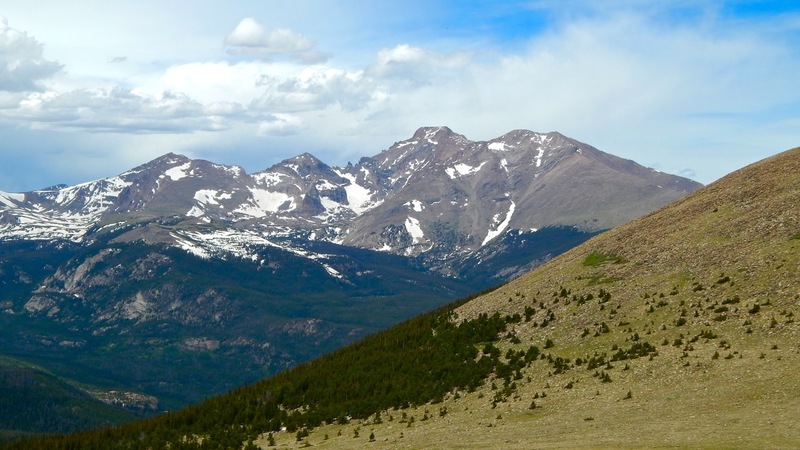 The view from the pinnacle is classic Colorado as the wide expanse of endless forest is crowned with snow-capped peaks. A narrow strip of spruce and fir trees clings to the sheer headwall while stately cypresses of juniper decorate the edge of this rocky realm. Often ignored on the way to Echo Lake, these seldom seen crags are secretly hidden in a beautiful, sub-alpine setting. 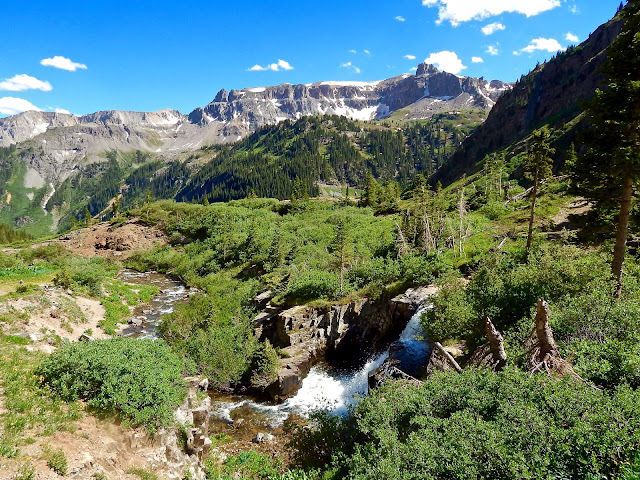 Situated just below the Continental Divide at 12,00 feet, this wonderful watershed of imposing cliffs is a must-see overlook. 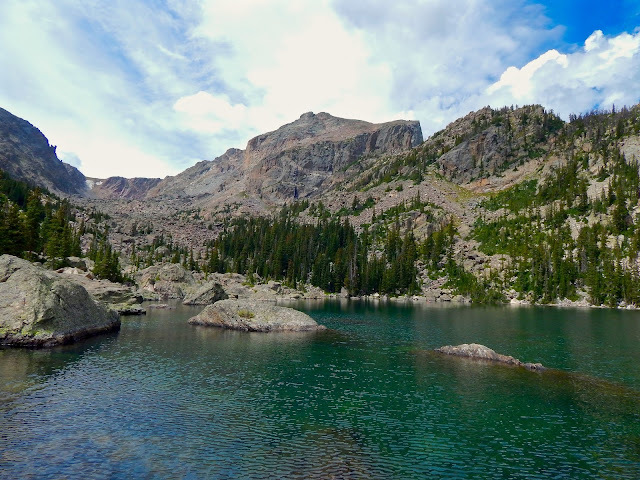 Located in the Indian Peaks Wilderness, Isabelle is another high mountain lake enclosed by incredible scenery. Filled from the melted ice of Isabelle Glacier, the bowl of frigid water is contained by a steep-walled basin at the top of a spectacular, flower-filled gorge. On an overcast afternoon, serrated summits are crowded around the shimmering jewel, creating an intimate space of solitude. As dark clouds continue to descend, the silky tarn is a remarkable mirror with clear reflections that become shattered by afternoon thunder showers. During our inevitable return, close observation reveals a sculpted landscape carved by an artistic power for hundreds of years. Featuring a chain of turquoise lakes and a pristine woodland, the resulting valley is a natural masterpiece. Haiyaha Lake is a secluded cirque nestled deep in the heart of a cluttered canyon. 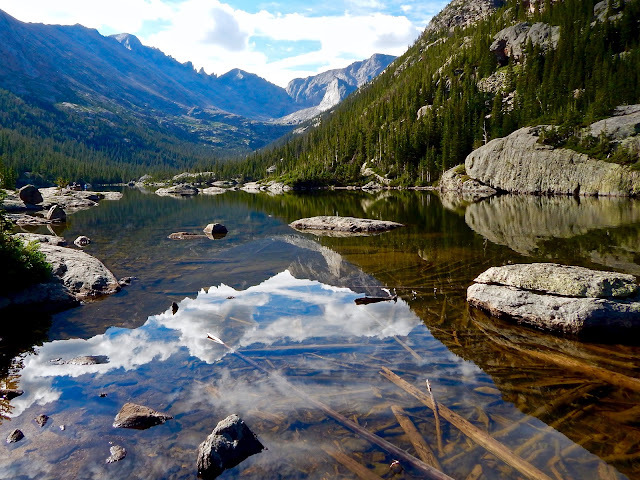 Located in Rocky Mountain National Park but well off the beaten path, it's a rocky sanctuary far removed from the stress of civilization. Confined by a ring of enormous boulders, the dazzling emerald is set right at tree line. A slight breeze sends ripples across the green water as afternoon clouds begin to gather just beyond the dramatic skyline of craggy cliffs. Hikers who are persistent enough to endure the uplifting trek will be rewarded with a tranquil setting. Water, rocks and trees form a harmonious landscape that nurtures a perfect balance between the head and the heart. During the last Ice Age, prehistoric Lake Bonneville’s banks were breached and a catastrophic flood ensued. 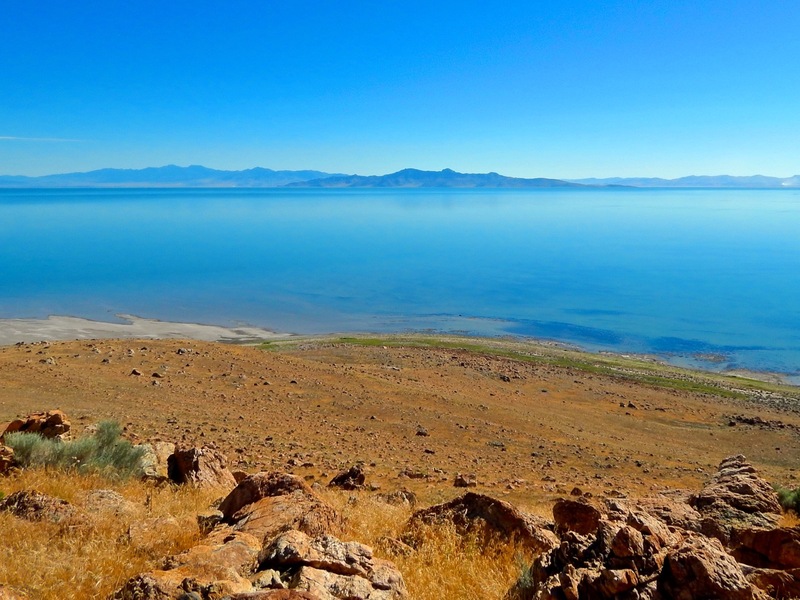 Still lingering in the high desert of western Utah near Salt Lake City, the Great Salt Lake is an enduring remnant of that ancient ocean. Today, the landlocked basin is endorheic, it's a terminal drainage where freshwater streams come to an end. Channeled by three major rivers, water flows in freely but with no release point available, it becomes trapped in the salty reservoir. In a region influenced by the Mormon religion, the American Dead Sea remains defiant as it’s virtually uninhabitable. Even though the destination is distinguished by turquoise water and white sand beaches, this inhospitable place is not a tropical paradise. The Flatirons are a unique rock formation set in the Front Range foothills. Originally called the Chautauqua Slabs or the Crags, they were ultimately named by pioneer women who thought the uplifted peaks resembled the flat, metal irons used to press their clothes. Their rugged beauty attracts hikers and photographers while curious geologists say the arrangement was forced upwards and tilted about 45 million years ago. It’s a Mecca for climbers as some of the world’s best have honed their skills on the rocky outcrops. 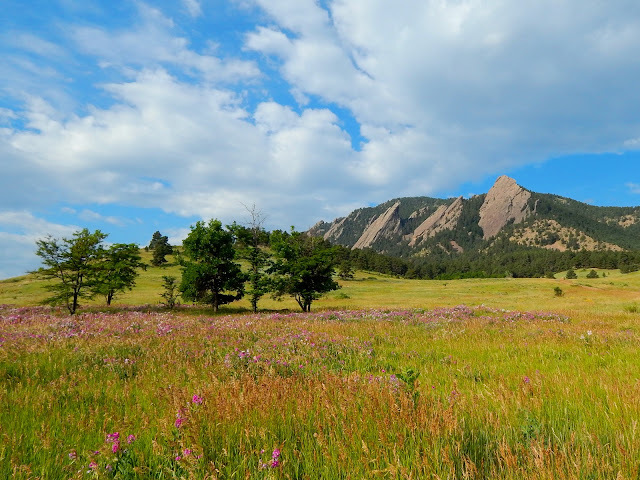 Mornings at the the park are just perfect as the Flatirons appear golden yellow and a lush, green meadow is dotted with colorful wildflowers. Furthermore, those five, peculiar pinnacles certainly form a fitting backdrop for the quirky town of Boulder. 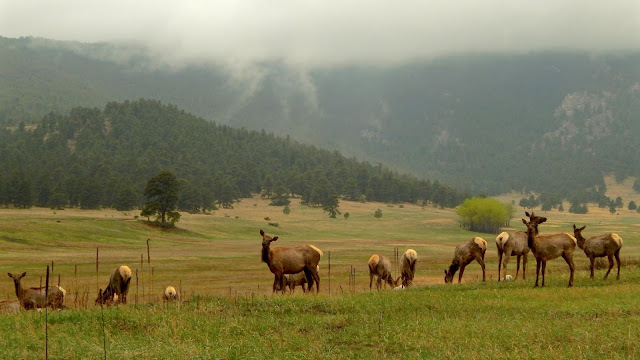 Located just down the road from our home in Evergreen, Elk Meadow is a vibrant grassland teeming with wildlife. This foothills life zone supports a wide variety of species such as the mule deer, Abert’s squirrel, coyote and of course Rocky Mountain elk. 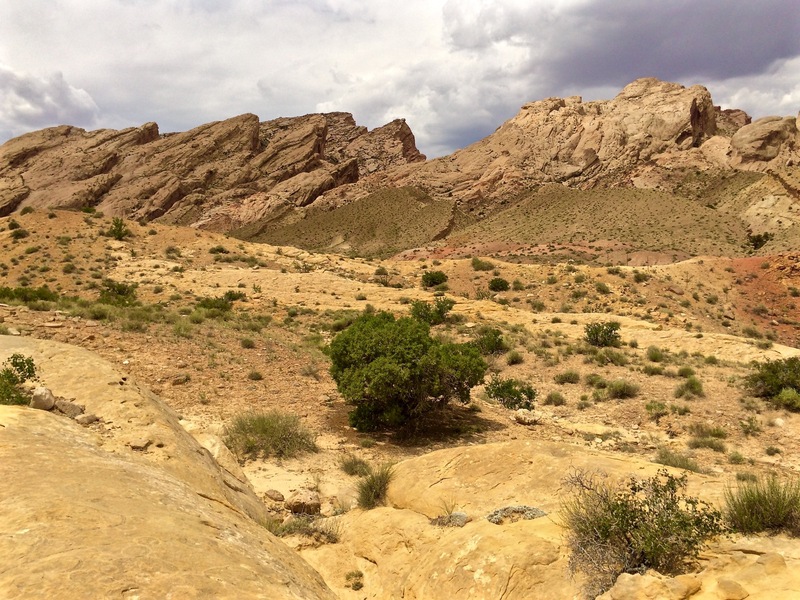 Laced with a few looping trails, the open space offers unsurpassed beauty from every angle. Through art, photography and writing, I’ve logged several years documenting my impressions of this diverse landscape in all kinds of weather. My favorite time in the park is during a spring storm when gray clouds blend heaven and earth as blue mountains dissolve into the atmosphere. When caught in heavy rain don’t worry, ponderosa pine will provide shelter but when out in the open, beware of lightning. 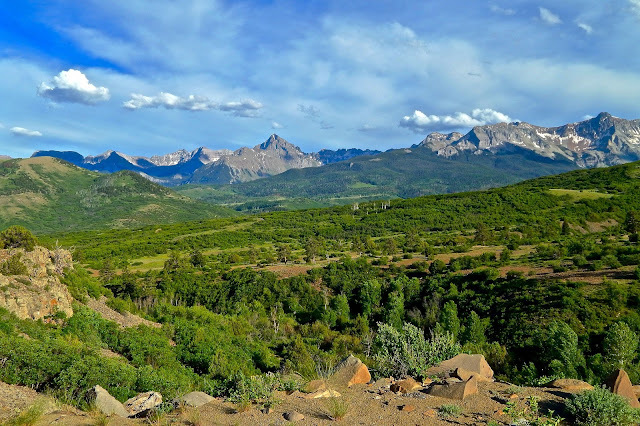 Rising out of Ridgeway, Colorado, the Dallas Divide is an elevated overlook with remarkable views of the spectacular Sneffels Range. Summer evenings are the best time to visit because the southern light saturates the landscape with gold. The rugged mesa of sage and pine stretches across the vista before uplifting into a chain of staggering peaks. The wilderness scenery is complicated but here the space is defined by dark shadows that follow every contour of the land. I’ve traveled all over the western United States and visited some extraordinary locations. I’ve swam in the Pacific, hiked the Grand Canyon and climbed in the Tetons but I have to say southwest Colorado may be my favorite place on earth. 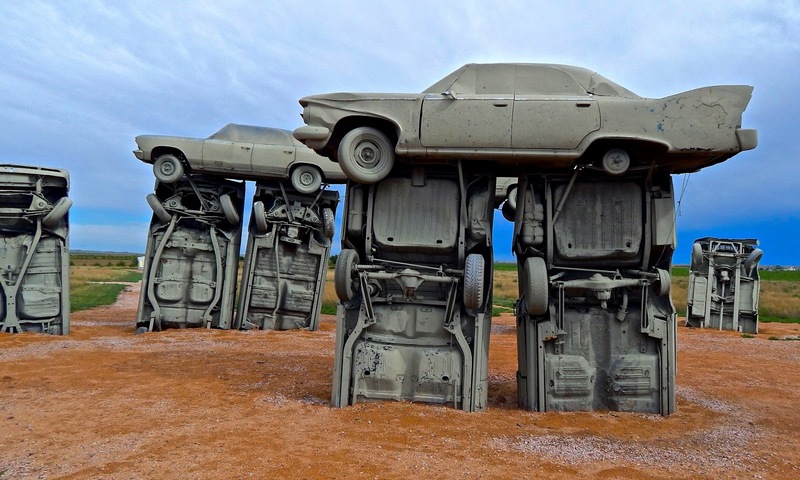 Rising conspicuously out of verdant corn, Carhenge was constructed 29 years ago as an exact replica of southern England's Stonehenge. Today, people from all over the world arrive in the agricultural town of Alliance, Nebraska to visit the quirky roadside attraction. At first, it was considered a despicable eyesore haphazardly fabricated by a crazy farmer but in fact, it's an admirable display sculpted by a serious artist. Over time as the structure has blended into the environment, locals have come to accept and embrace the work. At the casual site, visitors are encouraged to explore freely so children happily climb cars and kick tires. Whereas the stone slabs of Salisbury are the "Domain of the Dead", the arrangement of American automobiles near Alliance appears to be a celebration of life. 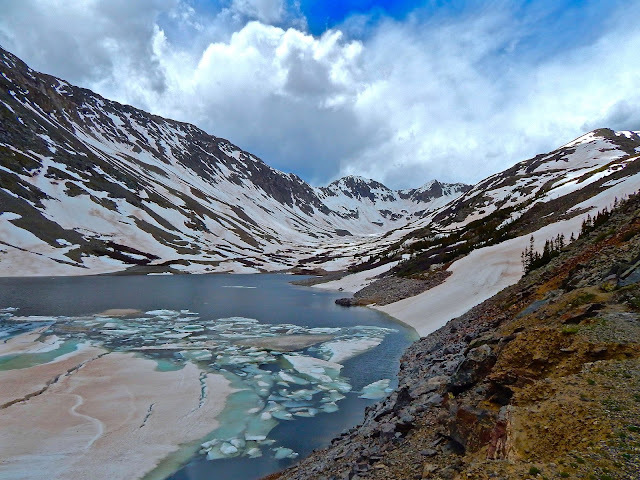 Blue Lakes is a frosty reservoir concealed high in the Tenmile Mountains just south of Breckenridge, Colorado. The forbidding glacial cirque is enclosed by jagged, black peaks that form an impenetrable barrier of rock and ice. Pictured above is the colorful landscape still covered in snow and mostly frozen. It’s early summer and warmer temperatures have brought Monte Cristo Creek to life as cold water gushes down into the steep gulch. Gouged by a row of sharp summits, the glossy-blue sky is veiled by misty clouds that create a translucent lighting effect. Up here, the weather is uncertain as I’ve seen a sunny day transform into a blizzard in an instant. Animas Forks is a rickety ghost town teetering high in the San Juan Mountains just east of Silverton, Colorado. It used to be a bustling community during the silver boom of the late 1800s but today only the miner’s spirit permeates the cool, mountain air. Pictured above is the best preserved building, an impressive residence known as ‘the bay window house’. Broken down and beaten after enduring years of nasty weather, the resilient structure rises defiantly out of a dense thicket of green willows. I can’t imagine how people lived up here all year long, extracting precious minerals from the generous earth. There’s no debate that they enjoyed breathtaking views of the surrounding peaks but struggling to survive the harsh winters must have been absolutely brutal.